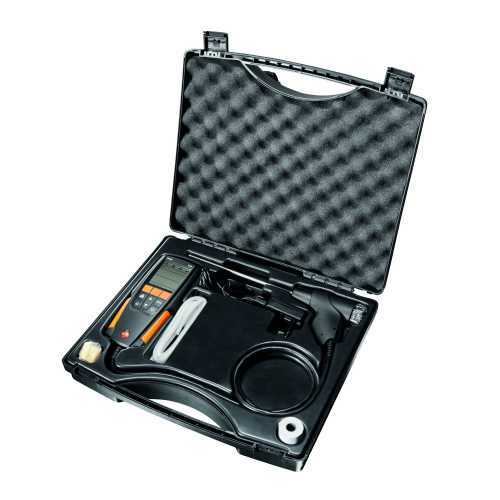 The new Testo 310 flue gas analyser combines simple functions with a high level of measurement accuracy. It is perfect for all basic measurements on heating systems. Long battery lifetimes of up to 10 hours guarantee high availability. It's easy handling and compact design make the Testo 310 a robust tool for daily work - even when things get rough. The printer specially developed for the 310, including infrared interface, allows you to create clear reports on site as required. The current measurement value can be printed out of any measurement menu during or after the measurement. 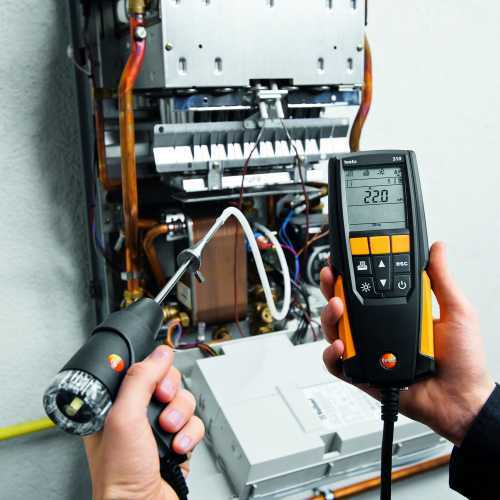 The Testo 310 offers all the advantages of electronic flue gas measurement in high quality at a perfect cost-benefit ratio. It stands out thanks to its easy handling and menu-guided security. Measurement values can be confidently and conveniently read from the well-lit display, even in bad light conditions. The fuels are stored not just as numbers, but by description. At the top edge of the clear display, the symbols for the different measurement menus are always in view. The display and the dirt-insensitive keypad are clearly structured. Operation is very easy - even if you only have one hand free. And you always get right to the point. 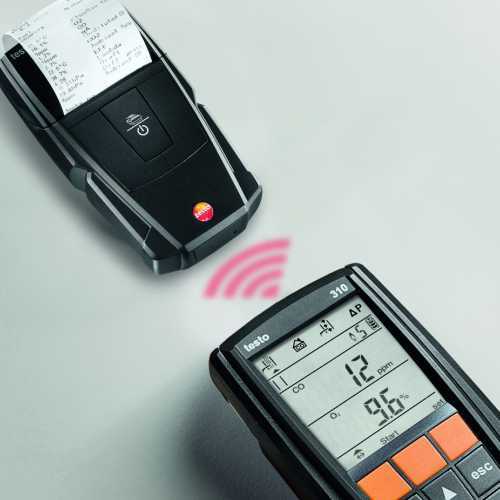 Thanks to the automatic zeroing of the gas sensor, the Testo 310 is ready for use shortly after being switched on - only 30 seconds to start is unbeatably fast. 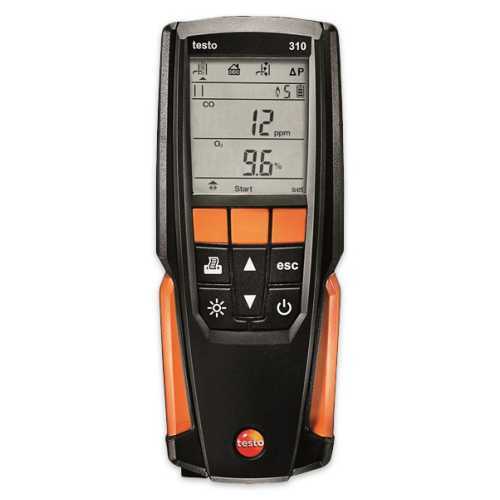 The Testo 310 intentionally concentrates on the four core measurement functions flue gas, ambient CO, draught and pressure. The instrument has two measurement sensors for O2 and CO, and a temperature sensor integrated into the flue gas probe. The gas sensors measure the exact oxygen and carbon monoxide content as well as the flue gas and ambient temperature. From these data, all relevant measurement parameters such as CO2 value, degree of effectivity and flue gas loss are calculated. Since the flue gas probe is permanently fixed to the instrument, there are no single parts in the way.